Hall of the Mountain King: Review: Holy Grail, "Ride the Void"
Much like Crisis in Utopia, which opened with the speedy guitar licks of “My Last Attack,” Ride the Void is a dream for shred fans. Guitarists Eli Santana and relative new kid on the block Alex Lee, who joined the band in 2011, bring back the classic metal twin guitar attack with a vengeance. Though shred isn’t the focus of the band’s music – that’s firmly on the song – the sound certainly wouldn’t be the same without the fretboard fireworks of Santana and Lee. They come into play big time on songs like the title track, where after a soft opening, the pair unleash the fury, as Yngwie Malmsteen would say. Overall, “Ride the Void” is one of the best songs to encapsulate what the band is all about. 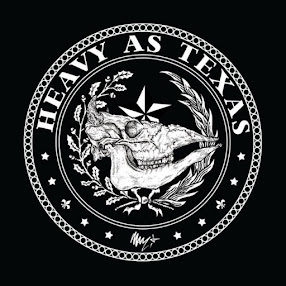 There’s speed, heaviness, shred and a great sense of melody. The approach to composition on Ride the Void is a little more grown up and sophisticated. The hooks aren’t quite as big as those on Crisis in Utopia, but they’re still there and catchy. While the first album largely combined traditional and power metal sounds, a little more of a thrash influence shows up in places, particularly on tracks like “Bleeding Stone,” which also has one of the better choruses on the record. They also show a few extreme metal tendencies. Not to the point of blast beats or guttural grunts, but they take a shot at a few punctuating growls on “Bestia Triumphans,” another shred-driven track, and there are a few moments of a melodic death metal type stomp during the song. “Silence the Scream” gives bassist Blake Mount a chance to show off the bottom end before some chaotic, frenzied, sort of neo-classical riffing from Lee and Santana that marks one of my favorite moments on the record. Once Luna’s vocals show up, though, the music has shifted to a more AOR-influenced hard rock with vocal harmonies and some ooh-ooh-oohs. It’s one of the strongest songs on the record. “Too Decayed to Wait” might remind listeners of “My Last Attack” with the full-on shred opening to another thrash-influenced number. There’s more thrashing on “The Great Artifice,” which has a great verse and a few more punctuating vocal growls on the chorus. Wake Me When It’s Over” shows another side of the guitarists with some acoustic neo-classical noodling backed by strings, and at only about a minute and 20 seconds and serving as an intro to album closer “Rains of Sorrow,” it’s actually a little too short for my tastes. That last song, is probably the closest thing to a ballad that Holy Grail has recorded, and despite some of the radio-rock overtones, I really like Luna’s vocal performance on it, particularly with the whispered echoes on the verse. And, at this point, I have to offer a mea culpa. After hearing White Wizzard’s High Speed GTO EP, I thought Luna’s voice wasn’t very good. The title track was about the only thing I liked him on. 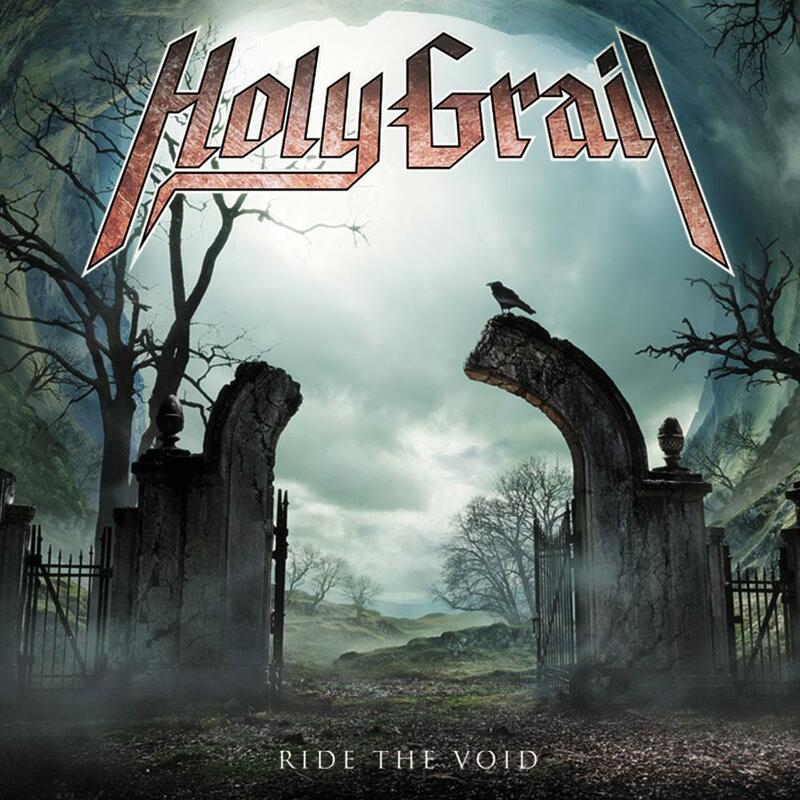 With Holy Grail, though, he’s fully in his element, and the vocals are fantastic. While Lee and Santana do get their chops in on guitar, it’s always done tastefully and with the song in mind. There’s no uncontrolled wankery to be found. It’s all focused and driving the song forward, an integral part of the sound. Though there were no songs on Ride the Void that immediately hit me, like “Call of Valhalla” or “My Last Attack” on Crisis in Utopia, much like that record, it has gotten better each time I’ve listened to it. I liked it the first time through. A few weeks later, I love it, and it’s still growing. There’s really nothing bad to say about Ride the Void. It’s heavy metal the way it should be done. The year is young, but I’d be surprised if I hear a much better metal record in 2013.